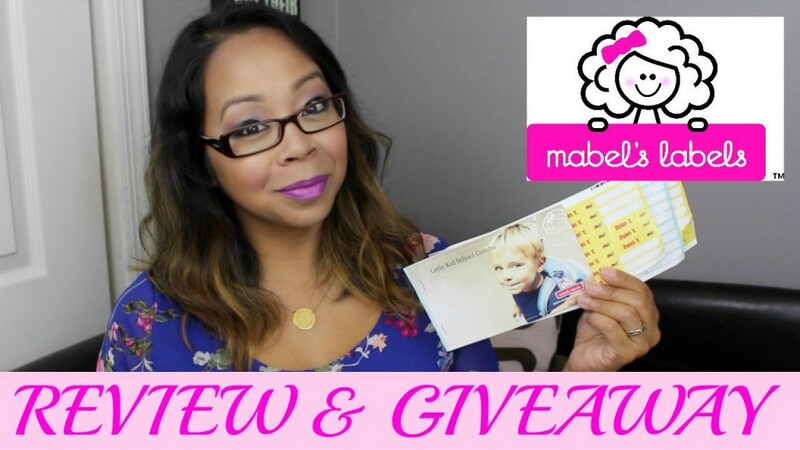 BACK TO SCHOOL: MABEL’S LABELS Review & GIVEAWAY! You are here: Home › Back to school › BACK TO SCHOOL: MABEL’S LABELS Review & GIVEAWAY! Hi everyone! So this is my 2nd to last video in my back to school series and it’s an awesome giveaway for my favorite labels ever! Mabel’s Labels! I use them for my kids supplies, shoes, clothing, dance wear, lunch supplies and more. And I even have some for myself since I love them so much. Here is my review of the current combo packs they have available for kids of all ages…these make awesome gifts for the holidays and birthdays too! Enter the giveaway below through Rafflecopter or click here. GOOD LUCK! 4 Responses to "BACK TO SCHOOL: MABEL’S LABELS Review & GIVEAWAY!" these are so cute! i would choose the “little kid school combo” set for my son! I would choose the personalized name tags with a football on it. Its super cute and it would be perfect for my 4 year old son. Ps. we watched the episode where you guys were on Impractical Jokers, very funny!